These days, few people have just one digital device. Instead, they have some mix of home and work PC, tablet, and/or smartphone. 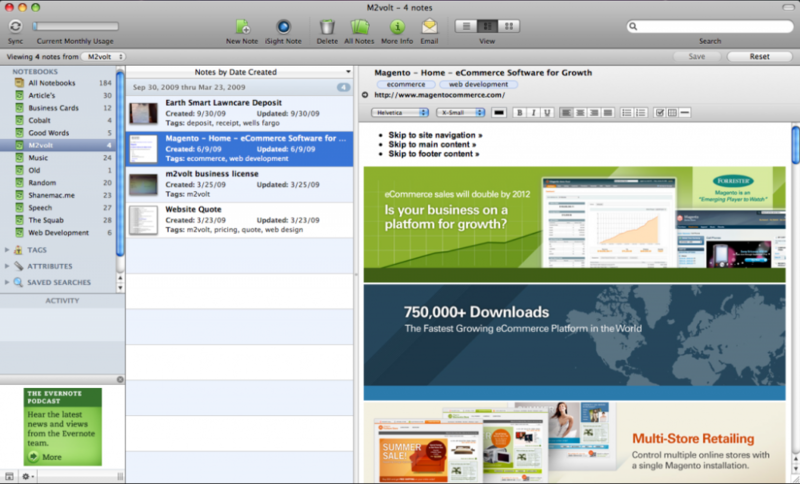 Xmarks allows you to access and sync your bookmarks across devices and browsers. It can be a little tricky to get installed because of the long sync key that protects your valuable data; but once you take the time to set things up, you’ll be saving time on the road. Install Xmarks on each computer you use, and it seamlessly integrates with your web browser and keeps your bookmarks safely backed up and in sync. Xmarks will sync across browsers too. It supports Firefox, Chrome, Internet Explorer, and Safari (Mac OS). Wouldn’t it be easier to have your notes all digitized so you can organize and search them all, while backing them up with a service provider so they never risk being burned or lost? With Evernote you can jot down random notes (i.e. ‘I loved this restaurant’), take notes at a meeting, write articles and access them from any of your connected devices. You can add tags, categories, pictures, and more to make it as organized as you’d like. There are two core facets to the Evernote product that make it much more powerful than other cloud document storage services like Google Drive. 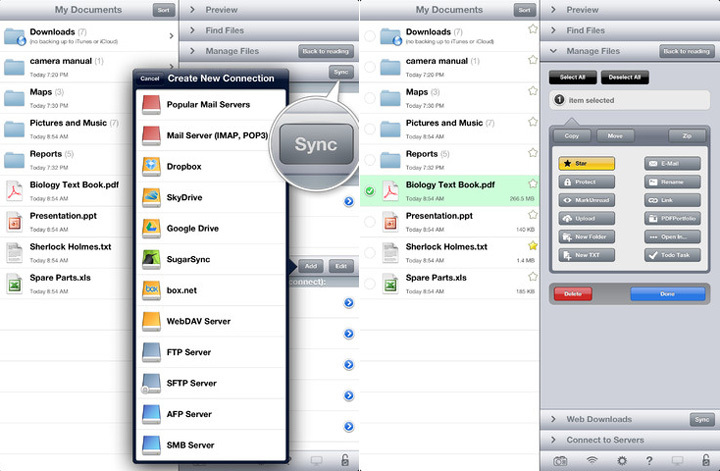 Capture EVERYTHING: Store pictures, PDFs, movie files and web clips all into one note. This allows for much more powerful and visual note taking. Use the Evernote Web Clipper to store your web pages to your notes in just a click. Search: Where as Google is the king of website search, Evernote is the king of notebook search. The powerful search feature not only allows you to dig through titles, tags and content of your notes, but it extends to search through PDFs that you attach to your notes. It’s wonderful when you’re reading a lot of whitepapers, best practices, case studies or research docs. You are doing that on the road right? Keep reading below. It gets better with GoodReader. Evernote will seem intimidating at first, but once you start using it you’ll be addicted. I’ve used several apps for scanning of business cards like WorldCard and CamCard but Evernote Hello trumps them all. For one, the scanning technology actually works and doesn’t populate fields with incorrect data. Secondly, it automatically looks up the LinkedIn and other social profiles and populates that data. With a click of a button you can connect online with the person you just met offline. On the accounting front, Expensify is my favorite application for tracking of receipts. With the Expensify app, you can take pictures of receipts over $75, log it, and throw away the paper. Plus, if you link up your account to your corporate charge card it will automatically pull all your expenses and attach IRS ready receipts for all expenses under $75. You will never feel so much joy throwing away a receipt after a few pints. GoodReader has recently become my favorite reading app. It’s only available for iOS but it’s functionality is unparalleled. Not only can you sync it with your server or Dropbox, you can also save URLs of webpages you want to read later. Best of all however, you can annotate what you read. Goodreader allows you to highlight text with a finger or add comments right on the doc and save it as a separate annotated file (or replace the original). When you’re done, click the email button and send yourself only the text you highlighted with page numbers and all. It’s just a beautiful time saver and yes, a real tree saver! When you’re back from the road improve your business productivity with 3 Tools to Increase Productivity. Happy traveling. Save the trees. Nevertheless, these guidelines can help you to get going in focusing on how great content must certainly be published. I’ve bookmarked it in myy gogle bookmarks. Hello there, simpoly turned into alert to your blog via Google, annd ound that it is truly informative.